Gozamos is proud to announce that our community initiative, Latin@ Techies, is conducting the second annual Latin@ Hackathon on Saturday, November 12, 2016 at Cultura in Pilsen (currently in residence at La Catrina Cafe). 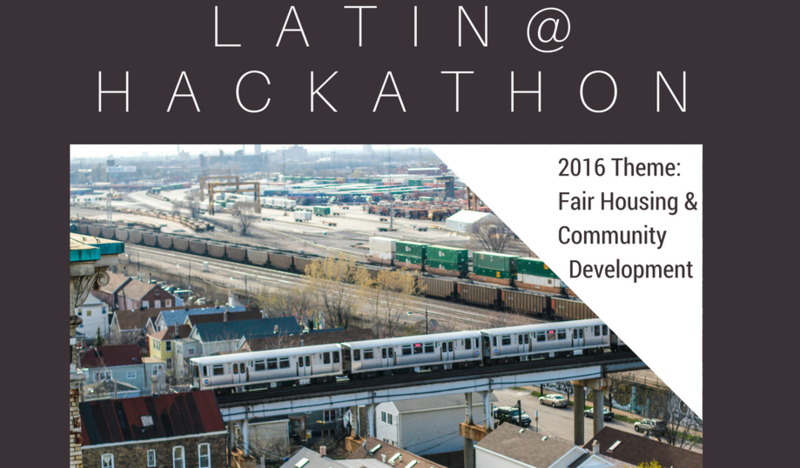 This year, our hackathon focuses on a crucial issue in Latino communities: fair housing and community development. Rising rents and inequitable development in historically Latin@ communities have led to increased evictions of long-term residents and closures of Latino cultural spaces, including the displacement of our own home base, Cultura in Pilsen. Twenty-five applicants will be selected to participate in small teams that will create community-driven tech solutions and present their project to the public at the end of the day. We’re also making a special call to community housing organizations who have their own data or want to use data to address a specific aspect of the theme. Latin@ Techies will provide all-day food and coffee, WIFI and opportunities to win raffle prizes! The mission of Latin@ Techies is to expose and support more Latinos in STEM fields, where only 7% of the workforce is Latino. As such, priority will be given to applicants who are Latin@. Despite Latinos’ affinity for consuming technology, only 7 percent of the STEM workforce is Latino. We want to do our part to change that. Formed in 2014 as the first Latino tech network in Chicago, Latin@ Techies creates community-based events to expose young Latinos to STEM, connect Latino tech professionals, and leverage tech to tackle critical community issues. Past events have included the first Latin@ Hackathon in Chicago, the first series of bilingual pop-up tech fairs in Chicago, and several networking opportunities, including a panel with the Hispanic Googlers Network (HOLA). Latin@ Techies is a community initiative of Gozamos.com.